Growing up in small-town Michigan, Robert James Ritchie found an escape and creative outlet in music. Ritchie changed his name to Kid Rock and began recording in 1988, and yet it would take him 10 years to find mainstream success. His 1998 album, “Devil Without a Cause,” eventually cracked the Top Five nationwide, landing Kid Rock on the cover of magazines everywhere. Although he struggled for a decade, Kid Rock never gave up. He was dropped by his first record label, ridiculed by critics, and sometimes short on rent money, but Rock kept re-inventing himself and refining his music until he found the loud, over-the-top persona that would lead to superstardom. Kid Rock’s story is part of “The Common Thread,” a book and motivational project from fine arts and entertainment entrepreneur Jerry Gladstone. The goal of the project, says Jerry Gladstone, is to inspire readers through stories of how successful people overcame obstacles and hardships in their personal and professional lives. With over twenty-five years of fine art publishing and licensing experience, Jerry Gladstone has interviewed numerous celebrities throughout his career. Gladstone will be publishing The Common Thread Project, a book that features notables such as Randy Couture discussing how they overcame hardship to achieve success. Born in 1963, Randy Couture earned recognition as one of the biggest names in mixed martial arts history. Studying the fighting form as a youth, Couture also learned about wrestling and boxing before joining the United States Army. Following his service, he performed as an alternate for the US Wrestling Team across three Olympic Games. After spending several years as a coach at Oregon State University, Randy Couture entered professional fighting in 1997 by joining the Ultimate Fighting Championship. Becoming one of the franchise’s most renowned figures, he participated in the King of Kings II tournament throughout Japan and won titles in the heavyweight and light heavyweight divisions. Moreover, Couture obtained roles in movies such as Cradle 2 the Grave and Invincible. Since retiring from the sport in 2007, Randy Couture has opened a chain of fitness centers known as Xtreme Couture MMA. He also continues to act, with performances in The Expendables and The Expendables 2. Human beings often draw inspiration from people they perceive as successful, whether they have made their mark in athletics, the business world, or any other field. Although these successful role models may each have a different story behind their success, they all possess common traits. 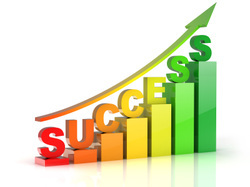 In spite of taking the right steps, many successful people have at one time faced rejection and other adversities. To overcome barriers, learn how not to take no for an answer. They believe that they can be successful and become persistent in reaching their dream. Successful people learn that they cannot become complacent, but open themselves to continuous learning and improvement. About the Author: With 25 years of experience in the fine art industry, Jerry Gladstone is the author of the upcoming book, “The Common Thread,” in which successful celebrities share how they have met life’s challenges. Peter Simon is one of America’s most celebrated photojournalists from the Baby Boomer generation. Heir to the Simon & Schuster publishing empire, Simon grew up in New England, cut his teeth in New York City, and traveled North America documenting some of the most memorable events of the late 1960s, 70s, and beyond. When he was 14-years-old, his photographs were published in Popular Photography magazine. Peter Simon later went on to study the craft at Boston University and tour intermittently with the Grateful Dead, Bob Marley & the Wailers, and Led Zeppelin, among many other iconic performers of the generation, as a band friend and press photographer. Over the years, Simon has worked on contract for Time, Newsweek, Rolling Stone, the Village Voice, the New York Times, New York Monthly, the Atlantic Monthly, and many other publications—bringing up-close photography of life and pop culture into the homes of people worldwide, making Peter Simon a household name. Since 1973, Simon and his family have resided on Martha’s Vineyard, where he continues to work as a professional photographer and manages the Simon Gallery. His most recent book, Reggae Scrapbook, released in 2007, chronicles his journeys with Bob Marley, Peter Tosh, the Wailers, and notables of the Jamaican music scene of the late 1970s. About the Author: Jerry Gladstone is the author of the book Common Thread and an entrepreneur. Through his gallery, he is proud to carry licensed fine art prints from Peter Simon. - The bat that Pablo Sandoval used in Game 1, when he homered three times and tied the World Series records held by Babe Ruth, Albert Pujols, and Reggie Jackson. - Giants’ manager Bruce Bochy's warm-up jacket, which he wore during the World Series games. - The jersey worn by pitcher Ryan Vogelsong, who helped to clinch a Game 3 victory by throwing nearly six shutout innings. - The spikes that starting pitcher Matt Cain wore in the World Series. - Gregor Blanco’s glove, which he used during the 2012 regular season and in the World Series. The museum’s salute to the Giants will be displayed until the end of next year’s post-season. 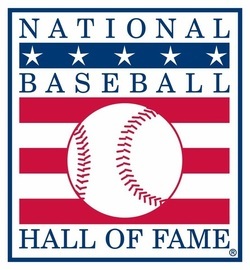 The Baseball Hall of Fame is located in Cooperstown, New York. About the author: An expert in fine art licensing and publishing, Jerry Gladstone endorses the Baseball Hall of Fame through his Common Thread Project. In addition to owning memorabilia from the careers of rock legends such as Led Zeppelin and the Beatles, American Royal Arts possesses a number of signed art and limited edition photography from Brian Wilson, a legendary singer and songwriter of the Beach Boys. Although the group produced a number of highly successful albums during the 1960s, the collection known as Smile, recorded by the Beach Boys in 1966 and 1967, collapsed during recording and was never released to the public in the original form. Smile was primarily the brainchild of songwriter Brian Wilson, who famously referred to the project as a “teenage symphony to God.” Wilson sought to build upon the success of the band’s hit song “Good Vibrations” by creating an album that used the same production techniques and featured a set of thematically linked songs. Wilson adopted several innovative recording practices during his time in the studio, including the separation of instrumental parts and recording the same performances at different studios to capture the distinctive sound quality of each one. Although Wilson experienced a large measure of early success with the project, many began to express skepticism over the feasibility of such an ambitious recording. Wilson became obsessed with the project and began to exhibit erratic behavior, causing his close friends to become concerned. Upon hearing the Beatles’ “Strawberry Fields Forever,” released in 1967, Wilson was so moved by the song that he had to pull his car over to the side of the road to listen, remarking to his passenger that the Beatles had “got there first.” Wilson officially cancelled the album in 1967 after composer and lyricist Van Dyke Parks quit the project. Wilson and Parks reopened the Smile project more than 35 years later, completing the album and performing it with Wilson’s touring musicians in 2004. For his performance on the long-awaited concept album, Wilson received his first solo Grammy award for Best Rock Instrumental Performance. Jerry Gladstone and mixed martial artist Chuck Liddell. The Common Thread Project seeks to reveal the similarities between highly successful people; it features insights into a wide range of individuals, from Quentin Tarantino and Snoop Dogg to Tom Bedell and Bill Rancic. For those interested in helping the organization achieve its goals, the Project offers several opportunities. For example, the Project endorses a small number of charities and organizations to which it recommends giving a donation. Links to the organization’s websites are included on the Project’s website. For instance, the organization has at times recommended donating to the Game Plan Foundation, founded by American football player, Leonard Marshall. In addition, the Common Thread Project continually seeks inspirational stories, and it asks those with stories of success to begin a correspondence via email. Moreover, those who have friends, family members, or acquaintances with influential anecdotes that fit the Project's goals can also reach out. About the Author: After interviewing business leaders, athletes, and celebrities for 25 years, Jerry Gladstone founded The Common Thread Project. Mr. Gladstone aims to inspire others with the stories of achieving success and overcoming adversity that he has experienced firsthand. At American Royal Arts, we’ve held licenses to distribute collectors’ items by famous artists including Jim Davis, the creator of the popular Garfield comic strip. Garfield first appeared in print in 1978 and quickly became a hit. Originally syndicated to only 41 newspapers, Garfield gained an enormous following, eventually claiming the title of most widely syndicated comic strip in history. Over one quarter of a billion people read Garfield comics every day around the world. Jim Davis originally started the Garfield series with a different cast of characters. Named Gnorm Gnat, the strip received lukewarm reviews. One commentator suggested Davis employ a more "relatable" character, such as a cat, and this became the inspiration for Garfield. Named after Davis' grandfather, James A. Garfield Davis, the Garfield character adopted characteristics from both Davis' childhood cat and his grandfather. Garfield's owner in the comic strip, Jon Arbuckle, was inspired by a 1950s coffee commercial, and Odie the dog came from previous advertising work Davis had done. At first, Garfield was rejected by syndicators. It took Davis several years to get the strip picked up, eventually by United Feature Syndicate. Davis bought back the rights to Garfield in 1994, through his company Paws, Inc. In addition to the comic strip itself, Garfield quickly spawned a lucrative merchandising market. Davis founded Paws, Inc. in order to manage the merchandising business, which grew to over $15 million in value by 1981, only three years after the debut of the strip. Currently, approximately 400 manufacturers create Garfield merchandise. Piggybacking on the strip's success, the television show Garfield & Friends premiered in 1988, eventually running for 7 seasons. Davis has also produced a large number of Garfield books. About Jerry Gladstone: A highly regarded dealer of collectors' memorabilia, Jerry Gladstone runs American Royal Arts Corp., based in Boca Raton, Florida. In addition to animation items, Jerry Gladstone distributes classic rock posters and other entertainment art. Jerry Gladstone, an accomplished entrepreneur with more than 25 years of experience, currently serves as the President and Chief Executive Officer of American Royal Arts (ARA). In addition to owning publishing and distribution rights for Elvis Presley Enterprises and Frank Sinatra Enterprises, ARA acquired a number of limited editions, original drawings, and production cels from the long-running animated sitcom The Simpsons. Before launching The Simpsons as a sitcom, creator Matt Groening pitched the idea of an animated short series featuring a dysfunctional family to the producer James L. Brooks. Groening modeled the characters after members of his own family, using Bart to represent himself, and earned a spot on The Tracey Ullman Show in 1987. Because the show’s producers chose to use Groening’s rough sketches instead of a finished product, the characters were somewhat crudely drawn during this time only loosely resembled their current forms. After three seasons as a sketch on The Tracey Ullman Show, Fox approached Groening to develop a half-hour, prime-time show based on the characters in the sketch. The Simpsons enjoyed a large measure of success during the first season in 1989-1990, capturing a spot in the Top 30 ratings for the first time in Fox’s history. Today, The Simpsons is the longest-running American sitcom, animated program, and American prime-time entertainment series. Since the show’s creation more than two decades ago, the series has earned 27 Primetime Emmy Awards, 27 Annie Awards, a Peabody Award, and status as Time magazine’s best television series of the 20th century. The Simpsons has also profoundly influenced culture over the years, including the admission of Homer’s famous cry of “D’oh!” into the English lexicon. Similarly, the ambivalent term “Meh” and the word “Cromulent” have earned spots in the Collins English Dictionary and Webster’s New Millennium Dictionary, respectively. American Royal Arts possesses a number of limited edition cels from the hit show, including images of Bart and Lisa quarreling, and an interpretation of a music album featuring characters from the Simpsons. To learn more about memorabilia from The Simpsons and other collectible items available at American Royal Arts, visit the website at AmericanRoyalArts.com.